December – Books on thought, thoughts on books. | What I got rid of today. ← November 23, 2011 – on technology. 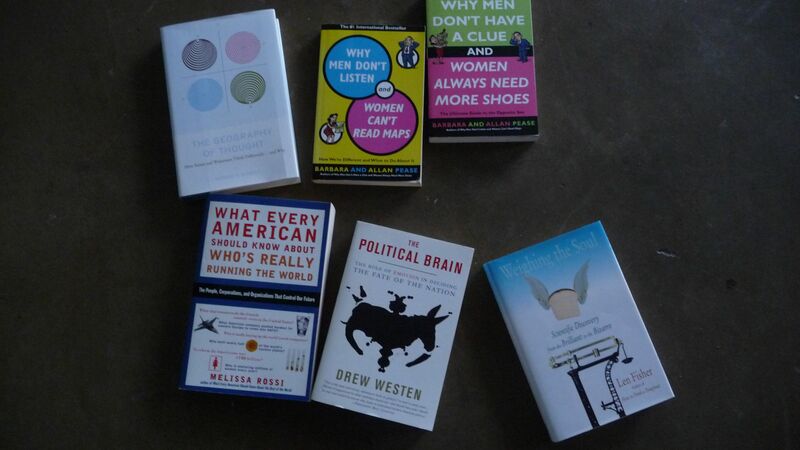 Today I RID these books on thought – how we think, how men and women think differently, how people make decisions. And it makes me think about my decisions about…books. I’ve written on this blog before about how books are often my guiltiest pleasure. It’s very easy for me to get interested in a new topic…and just buy a book about it. If there’s one thing the RID project has done, it’s made me slow down on the number of books I’m purchasing. And in that sense, it’s been good. While I may be developing fewer “interested ins,” it’s allowing me to focus and get to depth on what I’m already interested in, and want to develop further. Sometimes, (or maybe all times?) less is truly more.